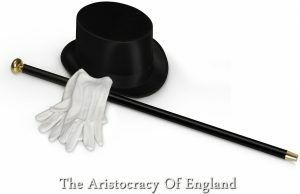 Aristocrats are the elite class of society. They are a privileged group of individuals, who are the wealthy, ruling, upper class. A section of the British population, usually comprising the noble and royal families are considered to be British aristocrats. What is the Order of Precedence in the British Aristocracy? What is the Ranking of the British Nobility? What is the Different between a Baron and a Baronet? Whereas a title of nobility is conferred by the Crown onto a person who comes from a wealthy heritage and has displayed distinguished service to the country, like a knight or warrior. Non-hereditary titles cannot be passed onto members of a family, while hereditary titles can. Origins of Britain’s aristocracy can be traced back to the last thousand years, with the introduction of ranks for the nobility, like Earl, Duke, Baron and more. The title of Duke was created in the early 13th Century, by Edward the Third. The Duke is called the noblest and is often addressed as ‘My Lord’ or ‘Your Grace’, with the sons and daughters addressed as ‘Lords’ and ‘Ladies’. The wife of a Duke is addressed as ‘Duchess’. A British Duke is entitled to a simple coronet, that is designed with eight strawberry leaves encasing a velvet cap. The second in rank after the Duke is the Marquess. Derived from the Latin word Marca, meaning ‘frontier’ or ‘border’, it was introduced in 1387 by Richard the Second. A Marquess is addressed as ‘Most Honourable’ and ‘My Lord Marquess’, while his wife is a Marchioness and children are referred to as ‘Lords’ and ‘Ladies’. A Marquess’ Coronet is styled with four strawberry leaves and alternately arranged pearls. The Earl of the British Aristocracy is third in rank. He is referred to as ‘Right Honourable’ and styled as ‘My Lord’. His sons are addressed as ‘Honourable’ and daughters as ‘Ladies’, while the wife of an Earl is a Countess. The coronet is designed with eight large pearls atop rays of gold around the circle, with a golden strawberry leaf in between each. The fourth rank in the line of British nobility is of the Viscount, originally created in 1440. The Viscount is addressed as ‘My Lord’ and his children as ‘Honourable’. His coronet is designed with sixteen small pearls in a row, around the circle. The Baron is considered to be the lowest in the line of nobility and was conferred to individuals who were given land directly by the Crown. A Baron is addressed as ‘My Lord’, while his children as ‘Honourable’. The coronet is styled with six large pearls. Baronet is a commoner who holds the lowest hereditary title of honor, ranking below a baron. The Knight is an honorary title granted to individuals who have proven their dedication and service to the country. Earlier the title was conferred on men who proved their worth as chivalrous warriors. They are addressed as ‘Sir’ or ‘Lady’ and the title cannot be transferred to members of their families.